An updated and enhanced version of Numark’s iDJ Live controller, Numark iDJ Live 2 features an updated low-profile design and USB connectivity, allowing it to perform with both laptop- based and mobile DJ platforms. Numark iDJ Live II features a standard layout of DJ controls, including a crossfader, EQ knobs, and capacitive touch-activated platters. The design of Numark iDJ Live Mk2 has also been slimmed down with redesigned platters that are now illuminated and low- profile. A headphone/speaker splitter cable is also included. 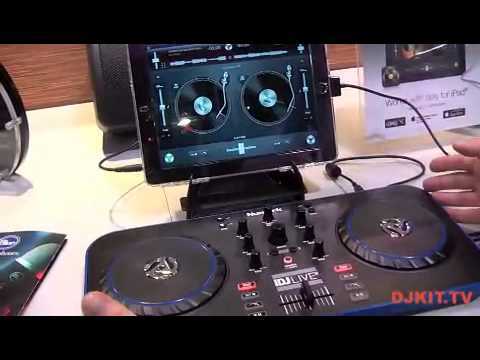 Considering purchasing the Numark iDJ Live 2? Have questions? Ask people who've recently bought one. Do you own the Numark iDJ Live 2? Why not write a review based on your experience with it. 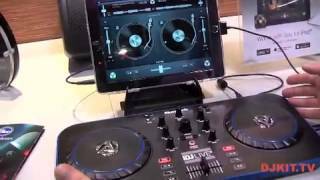 Seen a video for Numark iDJ Live 2 online or have you own video? Check out Numark iDJ Live 2 on DJkit.com!